I have a confession for you today. I haven’t lost a pound in 6 months! After 6 months of no weight loss it is so easy to to get discouraged and just give up. I could come up with lots of excuses why my weight loss has stalled, but instead I am going to share how I looked back at my photos and got motivated again! And why you need to take photos even when you hate them! That first photo is the hardest one! I could tell how much I hated this photo by the fact it took me over 15 minutes finding the original image and also realizing I never uploaded it to my Flickr account. I know that you will hate that first photo, that it will be heart breaking to see a full body shot of yourself, but I promise it will be worth it in the future! As you make progress you will see how far you have come. You will remember what you looked like in the beginning and how much progress you really have made. When you are struggling you can pull out that first photo and motivate yourself to keep on strong and tell yourself even if you don’t lose more weight you will not go back to where you started! Taking photos may be more helpful than watching those numbers on the scale. This is a photo of me now (left) and a photo from the last time I lost weight (right). You may not see much difference, but I do. I see that I’m actually toning, my skin is tightening up (which I was sure would never happen), and that I’m still making progress. I didn’t even realize how much difference there was in the last 6 months until I uploaded a new photo for my Facebook profile and I saw it next to my coverphoto. I realized that even though I was in a plateau that I should have still stayed up with taking photos. I quickly set up and took my latest body shot. Take that first photo and hide it away if you need to. Then make an appointment to take a photo every month to see your progress. Even if you don’t see a lot of difference at first, you will love seeing them side by side when you hit your weight loss goals and have a photo to see the real difference you are making. When you are ready pull out that first photo, you once hated, you will see how much your hard work has changed you! So go now and take your first photo! You look so great! I’m so excited to see this progression. Serious inspiration!! Reading this makes me want to take pictures . I can see a big difference . Taking that first photo was soo hard – I had actually started January of that year. But every few months I look back at it and am so glad I took it! You make such a great point. I have embarked on many half-hearted diet journeys, and I think the reason why they were so half-hearted every time is because I couldn’t see the progress that I was making, so I promptly gave up. The progress you have made is amazing, and thank you for sharing your weight loss journey, including that difficult-to-take first picture, with us. I hope that you will try seeing your progress in photos instead of weight, it is really amazing how those photos can keep you going sometimes! Long time Trianna! It is so hard to get started in making such major changes in your life. But I promise they are way with it. I know what you mean – every time I get remotivated I come down with a cold. Wow you’ve made so much progress and totally can see the results in your photos, and definitely why it’s so important to take those photos. Great article! I wish I had taken a before photo. I sort of stumbled into this whole healthy living thing and now I want to look back and see how far I have come and I cannot find any full bodies photos to look at (probably because I never took them). Great advice. 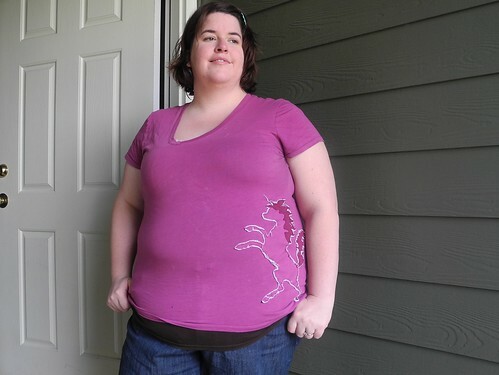 I have a picture from at about my heaviest. It’s one of the things that inspired me to start losing weight many years ago. I’ve fluctuated but I have not gotten that big again. Every now and then I look at it and go “Ugh!”. I need to take a picture of me NOW though. I’ve got a picture of when I had lost almost 50 lbs on Weight Watchers, but I’m now about 15lbs heavier than that now and still have along ways to go before I’m at an ideal weight. So it’d be good to jump start my motivation to get a good picture of me now. 🙂 Thanks for the encouragement! That is such great advice— and clearly it has paid off— look at your progress!!!! Great job Pepper! You can really see the results, congratulations! I am working on a similar project myself, but recently fell off the wagon. Time to get back on. I agree. It’s important to have the photos because you see you all the time and its hard to tell other than with the scale how much your body has changed. The photos will help you see the true story. That’s why I keep posting them on FB! my body is changing although I don’t always see it by looking in the mirror. Congratulations on your weight loss! I am in the process of trying to beat the bulge & I’m going to take pictures of myself! What a great way to motivate 🙂 Thanks for the tip!